Scripture index copyright Martin H. Manser, 2009. ‘NIV Thematic Study Bible,’ on which this work is based. The Dictionary of Bible Themes was designed to allow its users to identify and explore the leading themes of Scripture—themes such as God, Jesus Christ, the Holy Spirit, the human race, sin and salvation, the Christian life, the church and the hope of glory. This Dictionary identifies these, and many other key themes, and traces them throughout the course of Scripture. The Bible is here allowed to speak for itself, with a minimum of comment and explanation. The approach adopted in this volume allows its users to come into contact directly with Scripture, rather than having to approach it through the views of commentators. The main themes of Scripture are identified, key biblical references are provided and the mutual relationship of themes is set out clearly. Over 2,400 themes detailed in this work cover doctrinal, ethical, historical and cultural subjects. In addition to dealing with the great themes of the Christian message of salvation, the themes thus also deal with practical issues of Christian living. This approach allows a unifying of Christian wisdom, both theological and practical, for the edification of God’s people. 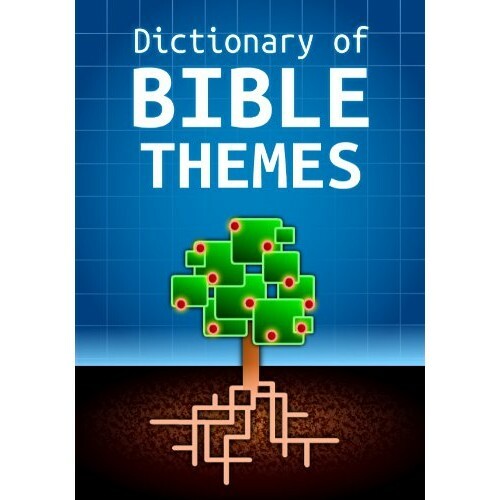 The The Dictionary of Bible Themes module includes a massive index that links every verse in the Bible to at least one theme and often many more. With the numerous cross-links to other themes the reader can quickly examine all the related themes. The Dictionary of Bible Themes is such a valuable resource for studying the Bible thematically and topically that we have added a dedicated Theme Tab to the Bible Reference Panel in Bible Analyzer to better utilize its linking and cross-referencing features. With Bible Analyzer 4.6.5 and newer, the Theme Index Display is updated to the Current Reference in Bible Analyzer whenever it is changed. Thus every theme for the current verse or chapter is convieniently displayed along with a preview popup on mouseover. A click will open the full them in the Dictionary Window. Also, the Themes can be accessed by viewing the Library Reference Index under the Library Tab to veiw every theme that contains the current verse. 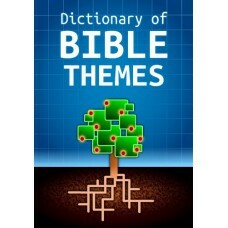 The Dictionary of Bible Themes module also contains an exhaustive Themes Index that lists every theme by topic.